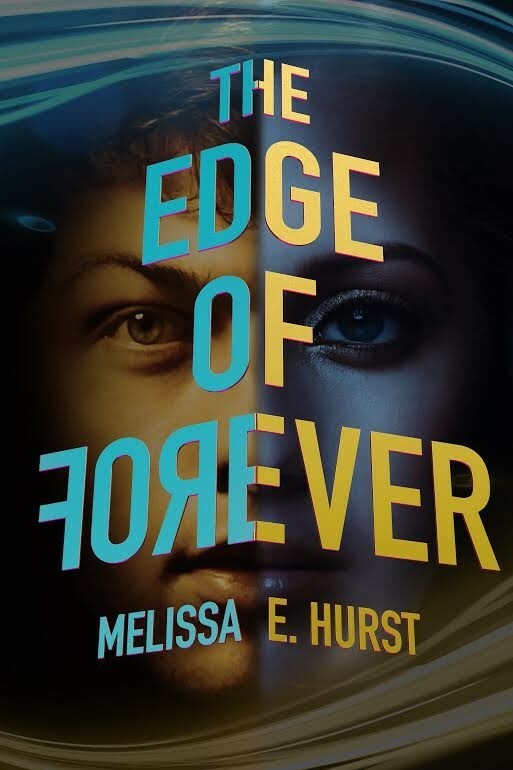 Author Chat with Melissa Hurst (The Edge Of Forever), Plus Giveaway! 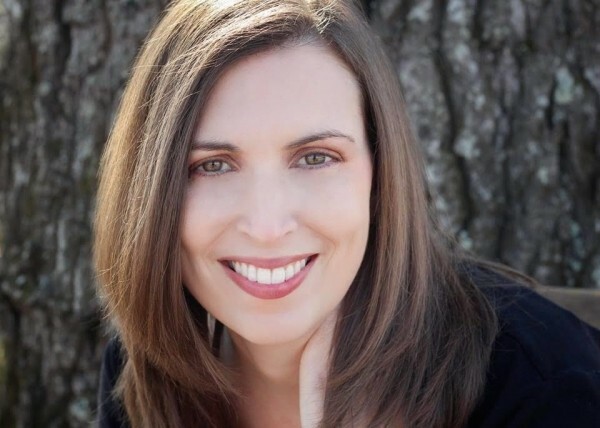 Today we're excited to chat with Melissa Hurst, author of The Edge Of Forever. Read on for more about Melissa, her book, and a giveaway! 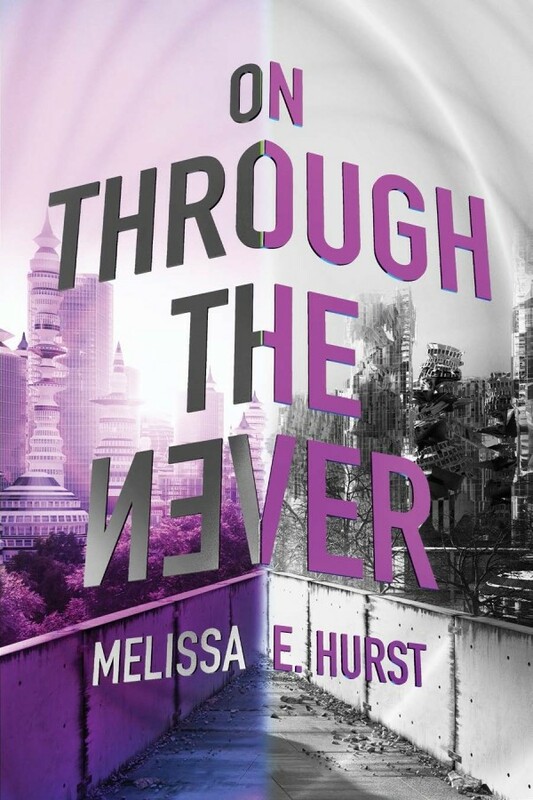 Melissa E. Hurst is a YA science fiction and fantasy writer, which means she considers watching Star Trek and Firefly as research. She dreams of traveling around the world and maybe finding Atlantis one day. You can usually find her with a book in one hand and a Dr. Pepper in the other. Or consuming lots of chocolate. Melissa lives in the southern United States with her husband and three kids. Meet The Edge Of Forever! In 2013, sixteen-year-old Alora is having blackouts. Each time she wakes up in a different place with no idea how she got there. The one thing she is certain of? Someone is following her. In 2146, seventeen-year-old Bridger is one of a small number of people born with the ability to travel to the past. While on a routine school time trip, he sees the last person he expected—his dead father. The strangest part is that, according to the Department of Temporal Affairs, his father was never assigned to be in that time. Bridger’s even more stunned when he learns that his by-the-book father was there to break the most important rule of time travel—to prevent someone’s murder. Meet On Through The Never! But unrest is growing in the North American Federation. As the government moves to limit the rights of Purists, people who refuse genetic modifications, violent protests break out. At the same time, paranoia and anger about the existence of Dual Talents seems to be growing―both among Purists and within the government itself. Definitely Alora, who is one of the main characters. It was such a joy watching her grow as a character and develop her Talents. She started out in THE EDGE OF FOREVER as someone who was unsure of herself and tried to please others. By the end of ON THROUGH THE NEVER, she’s not afraid to go after what she wants and to do what she knows is right. The idea for the novel came first. I knew how I wanted the series to end while writing THE EDGE OF FOREVER, and I knew a lot of the details I wanted to include. When I was brainstorming the rest of the story, I also tried to think of a title that would complement the first book in the series. While googling the title of the first book for inspiration, I found a song by Metallica that included the phrase “on through the never” and thought it was perfect. The climax because it was terrible in the first draft. I was trying to meet my deadline, so it was way too short and I didn’t really like how it unfolded. With the guidance and encouragement of my fantastic editor (Hi, Rachel! ), I rewrote it almost entirely, and I’m so much happier with it now. It has a lot of action and a lot of drama, two things I love in my stories! I’ve learned that first drafts will be terrible, no matter what. When I first started writing, I wanted to edit as I was drafting because I’m a bit of a perfectionist. It took over a year to finish that first draft, and when I started the second draft I kept tinkering with the first few chapters instead of moving on. With my second book, I tried a different approach—to get the words down and worry about editing later. It made a huge difference with my writing. Can I say everything? I love the image of the futuristic city next to a city in ruins. And I love the purple. I suggested that because purple is Alora’s favorite color. YABC: What new release book are you looking most forward to in 2017? Oh, wow, there are so many new releases I can’t wait to read this year! But one that I’m really looking forward to reading is FOREST OF A THOUSAND LANTERNS by Julie Dao. Not only does the book sound amazing, I’m excited to read Julie’s book because she’s one of the first writers I met online way back when I first started writing. She’s such a friendly person, and I’m thrilled for her success! I can’t say too much without revealing spoilers, but a scene between Alora and somebody she was saying goodbye to made me almost cry. Okay, I may have cried a little. I love revising, which amuses me because when I first started writing I preferred drafting. When I’m drafting now, all I can think about is how much work needs to be done to finish. When I’m revising, I’m excited because I know I’m making the story better, and I can see the progress. That part makes me happy and keeps me motivated. The cover looks so thriller-esque, and what about that North American Federation?! I love the cool symmetry of the cover. The summary is interesting. I haven't read many time travel stories. I love the cool symmetry of the cover. The summary is interesting. I haven't read many time travel stories. The cover is just okay for me, but the story sounds interesting. I love time travel in stories! The blackouts would drive me crazy. The cover is really cool. Can't wait to read this one. I love the cover and the synopsis. I will most definitely read this book. Time travel sounds fun and the cover is decent. :D Time travel sounds fun and the cover is decent.